It was an amazing surprise when I received a personal message from a wonderful lady who plans her wedding. She was trying to find gifts for her bridesmaids and she has chosen Tiny Heart Necklace from EfZinCreations! 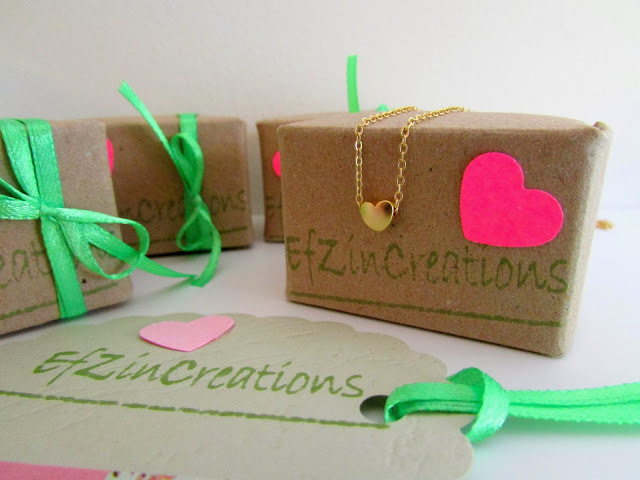 Necklaces prepared and packaged in beautiful tiny boxes with mini hearts to decorate them! Of course a gift also prepared for the bride, something blue to wear… a beaded bracelet with gold details! This was a great honor and of course an amazing challenge! 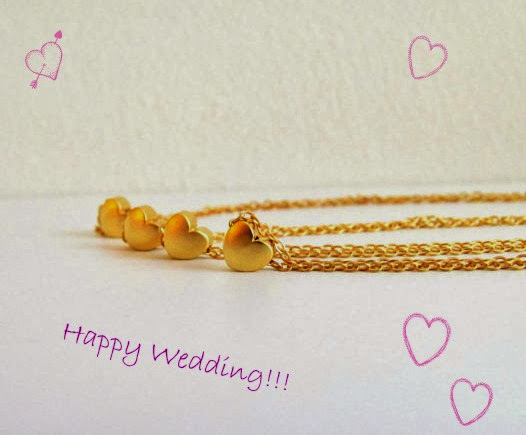 Honor because my creations will be part of a romantic wedding, one of the most beautiful memory in a couple’s life. Challenge because I want everything to be exactly as the bride wish and in that way to “help” her a little bit with the wedding’s preparations…and I think most of us know exactly this feeling! So this was a great opportunity to have Bridesmaids Jewelry Set in my etsy shop and the first one is already active! Love them! So dainty and elegant! Good job! They are so gorgeous! 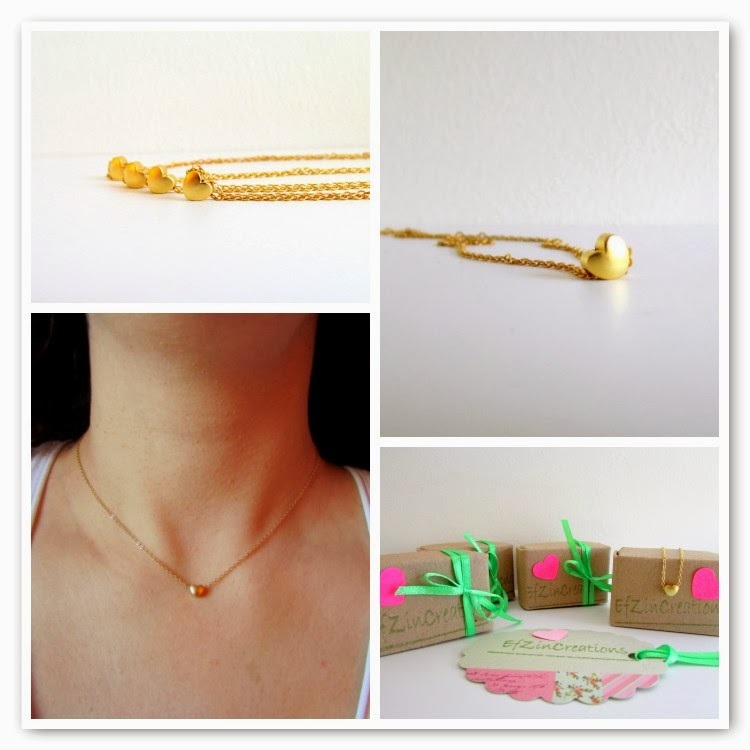 Perfect bridesmaids' gifts!